Emdoubleyu Design | Good people. Good design. Emdoubleyu began working with Pender Growth Fund when it was in its start up phase. As the fund became specialized, so did its corporate identity. 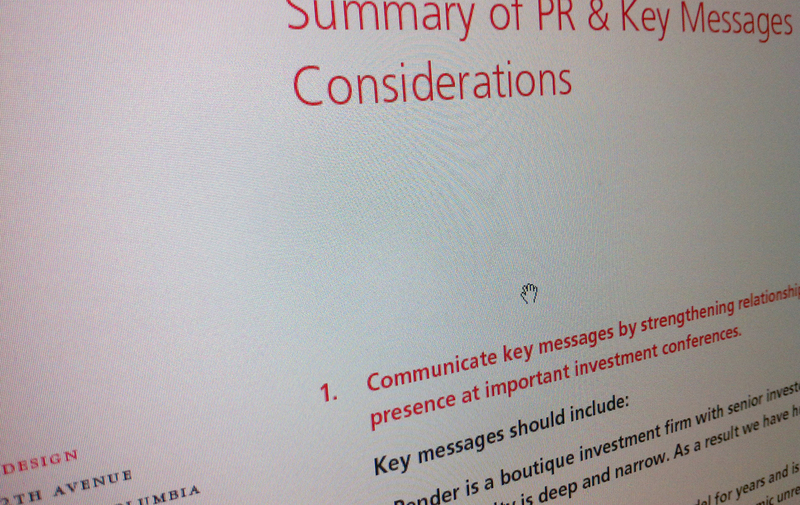 To keep pace with its hybridization, we crafted a PR plan for keeping its audiences intrigued and ensuring the media recognized Pender’s authority as a boutique growth fund. The plan provided a series of considerations and steps to stay on message throughout its communication endeavours. © Copyright 2019 Emdoubleyu Design - All Rights Reserved.